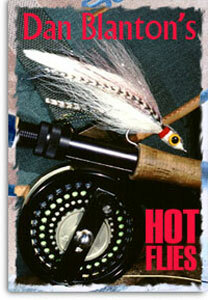 Welcome to Dan Blanton's Hot Fly Page! The purpose of this page is to provide fly anglers and fly tiers with current information on particularly productive fly patterns for both freshwater and saltwater. Previously posted patterns will be archived, creating a library of Hot Flies. To qualify as a Hot Fly, the pattern must have an outstanding track record, not something just off the vise and un-proven. Anyone wishing to submit a Hot Fly, should contact me by e-mail for details. A Hot Fly need not necessarily be a new pattern. There are plenty of great, old standards out there that folks new to this sport have never heard of. Enjoy!